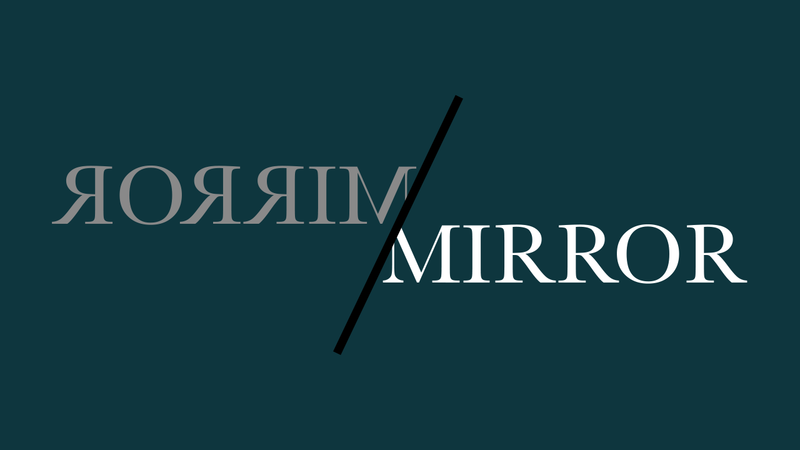 Over the last four weeks at Forefront we’ve journeyed through our series Mirror/Mirror. It’s been an open conversation about anxiety, depression and mental illness. We’re thankful for your questions that you sent in and your transparency. Thank you for being a church that embraces tough conversations and isn’t afraid to get real about what’s happening in your life and in the lives of others around you. We’re Human. I know you know that, but sharing that reminds everybody that we are going to make mistakes. Even in our answers/counsel, there might be more to follow up on than simply what we’ve suggested. You Matter. The reason we host these Q&A services during a heavy series is because we need to be able to work through it. These topics are more of an art than a science. Each person is loved, individual and unique. We want to make sure you know the heart behind this is to help you find healing through Jesus. Make It Known. Whether it’s anxiety, heavy depression, a hurtful experience, a mental disorder… talk to someone. You cannot begin true healing until you’re walking it out with someone. Once it’s known, you have others carrying the weight with you. Commas, Not Periods. You are not your illness or battle. Your story isn’t defined by what you’re working through. When asked, I share with people “I have anxiety, but God is still faithful.” What I don’t answer with is “I have anxiety.” It isn’t the end of my story. What you are working through isn’t the end of your story either. Keep moving with commas, not periods. Alright, here are the videos form the Live Q&A during the 9am and 11am services in case you missed it. After that, let’s dive into your questions we didn’t get to on Sunday. I’ve opened up about my depression with my family and they disregard my struggle as just a craving for attention or “fake” excuses. How do I coexist with this and find healing? Not everyone will understand your struggle. Depression is a sensitive thing and sometimes it isn’t a clear thing to see for others. First, would be to talk with a professional. Once it’s determined by a professional who can identify it, the speaking to family can get easier because it isn’t simply what you believe (for them). Healing comes with the three fold process we discussed on Sunday: God, Others, Professionals. Opening up to God and putting Him first, allowing others to walk this out with you, and going to professionals and being open to their diagnosis for healing if they see something that needs to be discussed or possibly medicated. I’ve noticed anxious tendencies in my child and I believe it stems from my own struggle that he sees. How do I keep from deflecting my own anxieties on him and help him as well? This is a great question. As parents, we have a responsibility to protect our kids from the pressures of adulthood. It’s time to watch and make note of when he has anxious moments. Ask yourself “When was the last time I was anxious in front of him?” We’ve noticed in our own family a correlation between the times we’re anxious in front of the kids and when it spikes with them. This will help you curb/eliminate down this in front of the kids and handling it as adults in private. There is no shame in having anxiety, we just want our kids to process this, if they do battle it, in their own time. Also, give yourself a safe place to process the anxious moments that pop up. Retreat to the bedroom, office, garage, etc. I head to the bathroom. It’s the only place of solace in our house. Even with the fingers coming under the door asking for a parent repetitively, it’s the only place to get quiet, alone, and process. When you have a strategy for processing and working through it, you’ll be less likely to do this in front of your child and it will give you a chance to help him with some of the same coping mechanisms you’re learning help you. Does God have mercy on the insane?? This question seems to set limits on God’s mercy. If I’m reading more into this, I apologize. God’s mercy is for everyone. Period. There is no one who is exempt from His mercy, love and grace. I’m reminded of 2 Peter 3:9, “The Lord is not slow to fulfill his promise as some count slowness, but is patient toward you, not wishing that any should perish, but that all should reach repentance.” God’s desire is for freewill man to come back to Him. He’s merciful in nature and patient with us. Another passage that encourages me to this end is Luke 6:36 “Be merciful, even as your Father is merciful.” All that to say, yes- God has mercy on the insane. How do you deal with a situation where medication makes you apathetic towards most things in life, including your faith? We touched on this Sunday, but this is a situation of balancing the proper medication, dosage, etc. If a medication alters you to the degree that you don’t function, it’s not okay. Talking with your mental health professional will also help. Like Dan shared Sunday, this is still a very young practice. Mental health is something we learn more about everyday. You may need to try a different dosage, medicine all together or have something else checked. Chris shared about multiple clients who battled depression, tried counseling, medication, etc- and it ended up being their thyroid that needed to be balanced. The body is complicated, and we want to make sure we don’t just accept a hurtful distortion, but try different medications until we find the one that helps with balancing and healing. How much do you share with your children when one of the parents “withdraws” from everyone? Given I don’t know all the answers to these questions, you first need to have a conversation with your spouse. Talk about the behavior, listen, and find out how to help them. Allow a safe place for them to let you be a part of their battle. Once you talk, it can help give a clearer picture of where to go. Older kids are obviously aware and would need to be talked to. Both parents together would be best, but if the retreating spouse is ashamed or unwilling, you still have to parent your children and help them understand on a level they can grasp. You have to remember not to shame the spouse or make them feel devalued in the eyes of their children. It’s a tricky process, but only you and your spouse will know best how to share with them. As a parent, we share with our children on their level. We know they are going to experience these situations in life. We’ve decided we want to control how they learn about them and how they’re presented. So far, it’s helping to include them slowly in things. I am battling with things from my past and I try tell my husband that I need to talk to someone. My husband tell me not to that I am Ok and it’s all in my head. What should I do? On Sunday we shared that introducing any struggle will only illuminate whatever is going on already in the marriage. If you’re marriage is healthy, you’ll battle it together. If there is something amiss, you’ll know it immediately. This sounds like a communication issue and reading one another issue. First, ask God to help you and help him see that this is real and hurting you. Next, explore counseling together to work on processing the communication issues and how you read and understand one another. Be prepared to not be understood. It’s common for those family members who don’t wrestle with what the other one does, to dismiss it. It doesn’t mean that they don’t care or desire to be hurtful. They aren’t aware and cannot understand it. The counseling and discussing can help them understand, as well as God working on them and their heart to be more open to what you’re dealing with. I feel other struggles come when trying to overcome , how can I balance without going insane ?? Speaking for Dan, Chris and myself, we’re right there with you. It’s as if every time we try to take on a battle, the rain turns into a monsoon. It’s easy to default into thinking we’ll never get out, but that’s usually because we take the battle on ourselves. If we try alone, you’re right in that it will drive you insane. It’s part of this 3 fold process of God, Others, Professionals. The God factor is surrendering to him (faith, baptism, prayer, bible reading, weekly gathering, gel groups, etc). When we trust God first, it immediately puts the power on Him, which is where it is anyway. The Others side happens with most people, but with the wrong people. Take care of who you share with and what you share. This is the difference between everyone thinking you’re trying to get attention and a select few people who are carrying the load alongside you. And finally,Professionals. When the other struggles come flying in from all directions, professionals help give us clarity, an anchor point to know what’s true from God and others, and process what is real and pick the daily battle wisely. Some things will get prioritized over others, but as you get clarity, the things that pop up won’t seem so big after all. I seem to get angry over things I find to be petty later after I’ve calmed down. What are some Bible verse to help me with this? As far as calming down.